When I last met this guy, he was doing charity work for his birthday. Then all of a sudden, word spread that he's actually undergoing training under a strict KPOP system and he's been with them for like a year or so. So when we were actually talking about his life last year, he was already keeping this as a secret. 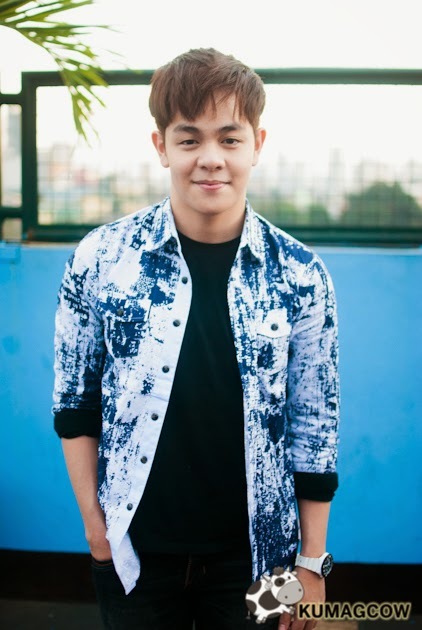 Julian Trono as you may know is just one of the talented individuals from GMA. Aside from acting, singing and what not, he's a mean spirited dancer, performer and all around entertainer. He's up to prove something and with the things he learned from the KPOP system, he's bringing in some new flavor to the PPOP scene. Yes ladies and gentlemen, Julian Trono will be launching a new song, a new single, a newer version of Julian Trono this afternoon on Sunday All Stars. When he was preparing to go to Korea, his fans prepared a grand fans day where he finally told us about this new journey. Although we were keeping this from the general public, he had teaser videos in Korea already and it did signal that there's something new from Julian that we haven't seen before. It was a welcome sight. He had a different teaser video initially but this one's the official released one. 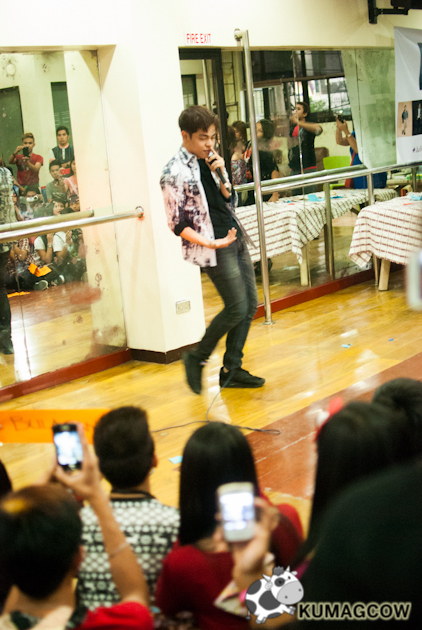 You can even hear the beginnings of his single, which he danced exclusively for us during the fans day. It was catchy, it was modern, I don't think other artists would have executed it well. The Korean management really have researched quite well about Julian and his choreographer experience, so it was really easy for him to adapt in the KPOP way of doing things. By the way, the plan was not to actually have this just released in Korea... but more of the whole of Asia. 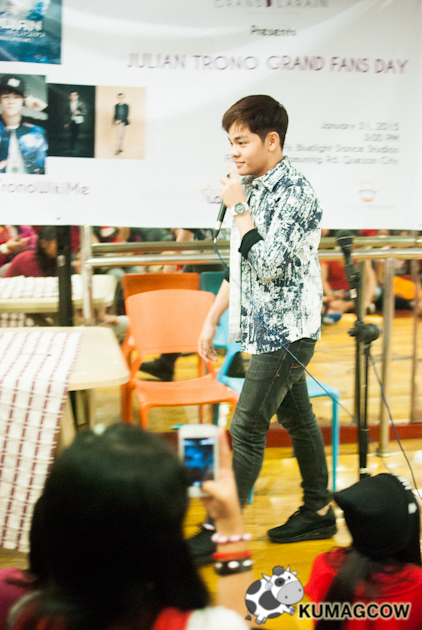 Julian Trono is just starting and by the looks of it, he can really do it well. Meanwhile, his Korea trip was well documented. His management even released a BTS of the WikiMe music video shoot and the whole experience he had in Korea. He told us how different the training was and how he plans to deliver this different flavor into Philippine shores by doing it in Sunday All Stars later this afternoon. The BTS also includes his shoot in a Korean university, clad in winter clothes. He couldn't even go out and shop he says because it was too cold. He also got featured in Arirang which is a pretty popular TV station in Korea showing English news. It's beamed around the world and is available on cable. Just imagine the magnitude of exposure he got from the interviews and that performance on the KPOP show together with other KPOP artists. Then when he got back, we got the chance to talk to him after his single got released on iTunes. He also showed us the music video that will be released exclusively in the Philippines. He's actually got another version done for the Korean and International market so we're kinda lucky he's got us in mind during the months of preparation. He's got the talent, he's hungry for more and he's still very young. He's got a long way to go but it'll start this afternoon on February 22, shown on Sunday All Stars. When he comes back on stage, he'll be showing a better, bigger, and good looking Julian Trono. He's a bit different when we first interviewed him. I can totally see the difference, so now it's your turn to judge him if he's got it. He definitely does. Oh by the way for those who want to see him in the next few days, he'll be in Sunday All Stars today plus later, a meet and greet with online winners from 12 to 1PM on a show in Starmall Edsa. On February 24, he'll be in Unang Hirit and Tonight with Arnold Clavio. On February 26, he's going to be in LSFM at 11AM and a live chat will happen on GMA from 2-4PM. He's going to the PEP Talk as well at 5PM. On Friday, he's going to guest live in Ryzza Mae Show and on Saturday he's going to a mall show in Star Mall, Bulacan. You better get to him before it's too late and he's already doing shows elsewhere. He's surely going to have a whirlwind of events real soon!